Everything feels so dull when we miss our beloved person. 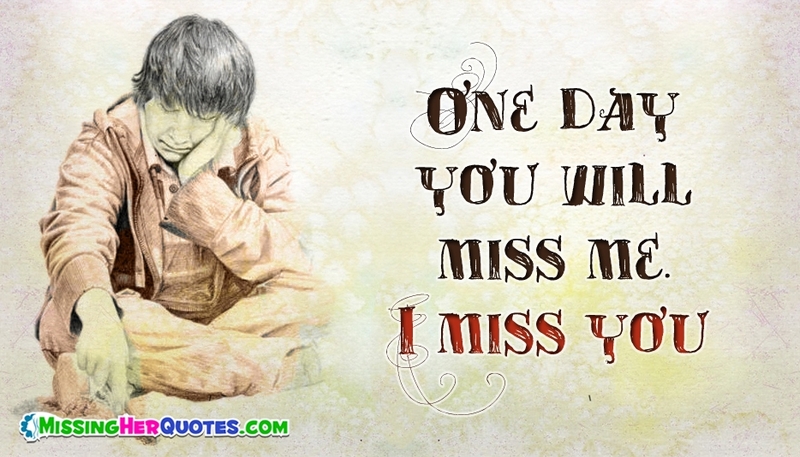 Just share this lovely miss you quote "One Day You Will Miss Me" with the one whom you miss a lot to let them know how much you miss her and your eternal love feelings towards her. A warm and romantic love ecard to let your sweetheart know how lonesome you are.